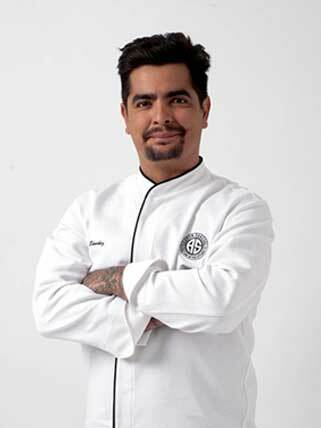 George Duran is a chef and entertainer. 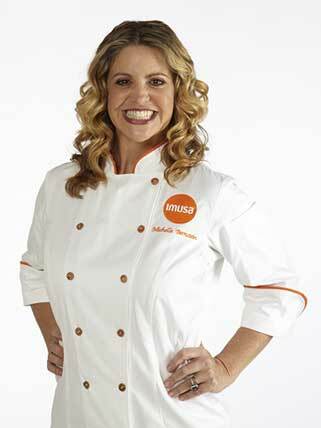 Author of Take This Dish and Twist it and host of TLC’s Ultimate Cake Off. Duran was born and raised in Venezuela, the son of Armenian immigrants. With such a diverse background, when it came time for college—New York City seemed the obvious choice. So Duran left his beloved Caracas (and more importantly, his beloved mother’s home cooking) behind to attend New York University, where he majored in Communications Studies (and minored in begging his mother to send Care Packages of her home cooking). There, he commenced his all-out assault on a career in radio and TV production, culminating in 1996–with an award for Best Radio Talk Show at the National Association of College Broadcasters for his work hosting HYE Time Radio show on WNYU. Aarón Sánchez is the co-star of Food Network’s hit series, Chopped, as well as the star of FOX Life’s #1 rated series Aarón Loves NY and their new travel-food series MOTOCHEFS. 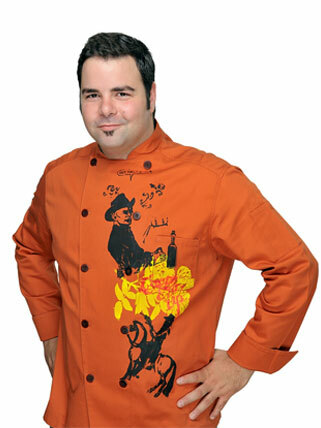 Aarón is the Chef/Partner of Johnny Sánchez with locations in Baltimore and New Orleans. He is also the culinary visionary behind Crossroads at House of Blues nationwide. The son of celebrated Mexican cooking authority Zarela Martinez, Aarón’s passion, commitment and skills have placed him among the country’s leading contemporary Latin chefs.